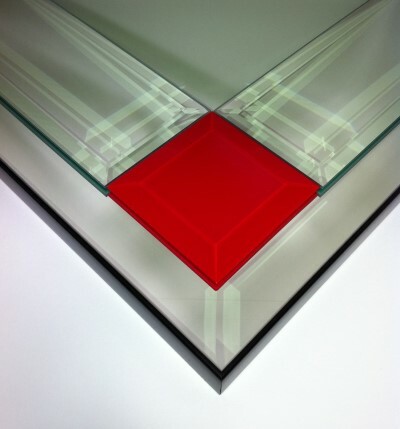 Florida clear and red glass bevelled mirror. A frameless contemporary bevelled mirror with clear glass bevelled strips and red glass panels make this striking rectangular mirror. Overall size.122X61cm.